As Tom Mitchell won the Brownlow, the camera panned to his coach. And... it got awkward. So, had Clarko nodded off? 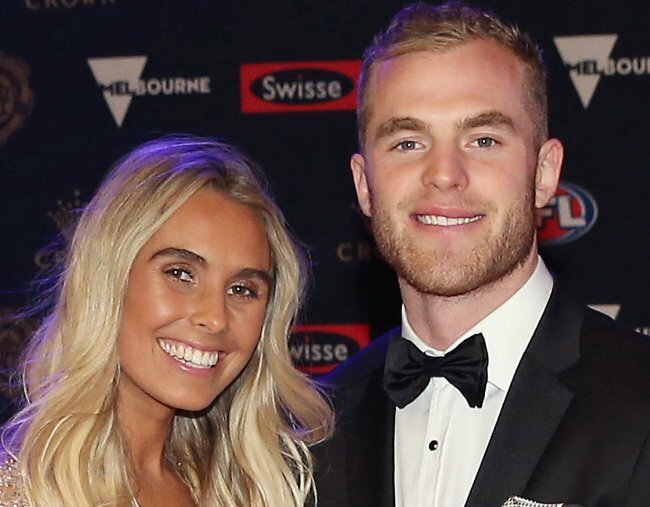 As star Hawthorn midfielder Tom Mitchell made his Brownlow Medal acceptance speech, his first thank you was to the club. The camera duly cut to Alastair Clarkson, who either had his head down looking at the floor as he listened to his star midfielder – or the night had gone a bit late for him. It certainly looked like Clarkson was having a quick nap and the image quickly went viral on social media. The rest of the audience laughed and that startled the Hawks coach, who had a sheepish grin. “That’s the last time I’m going to give him a mention,” Mitchell said. The Hawks midfielder later was unsure what had happened. “I don’t know what he was doing – what was he doing?” Mitchell asked. SEE MORE: All the gorgeous dresses from the 2018 Brownlow Medal red carpet in the one place. But Clarkson had been very alert a few minutes earlier, while the count was still going. He was one of the first to congratulate Mitchell, giving him a big hug when he took an unbeatable lead with a couple of rounds of voting left. “He’s played a huge role – he just said he was very proud and hard work pays off,” Mitchell said of Clarkson. “It’s not the reason we play, we don’t play the game for individual accolades, although they’re very nice when they come along. Mitchell also thanked his girlfriend Hannah Davis, who he credited with pushing him to change his diet. “In summary, my diet wasn’t too flash. Pre-game routine consisted of a box of BBQ Shapes and Kit Kats. I am on a strict salmon diet,” he told the audience. Mitchell is the second Hawk to win a Brownlow in Clarkson’s legendary reign at Hawthorn. Sam Mitchell and Richmond’s Trent Cotchin were awarded the 2012 Brownlow retrospectively.